Medaram Jatara starts on 12th February to 15th February. Medaram Jatara popularly known as Sammakka Sarakka Jatara or Sammakka Saralamma Jatara. Medaram Jatara will start from Magha purnima and it occurs once in two years. 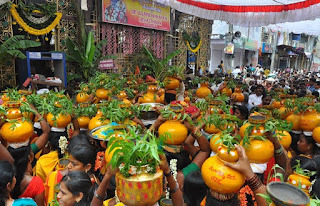 Medaram Jatara is a tribal festival of honoring the goddesses celebrated in the Telangana region of Andhra Pradesh, India. The story behind the Sammakka Sarakka Jatara is the Medaram ruled by the samantudu Pagididda Raju. His wife name is Sammakka and their children Saralamma, Nagulamma, Jampanna. People offer bangaram/gold (jaggery) of a quantity equal to their weight to the goddesses and take holy bath in Jampanna Vagu (stream). It is a festival with no vedic or brahmanic influence. Medaram Jatara is a State Festival of Govt. of Andhra Pradesh. Medaram Jatara expecting largest people around the state. 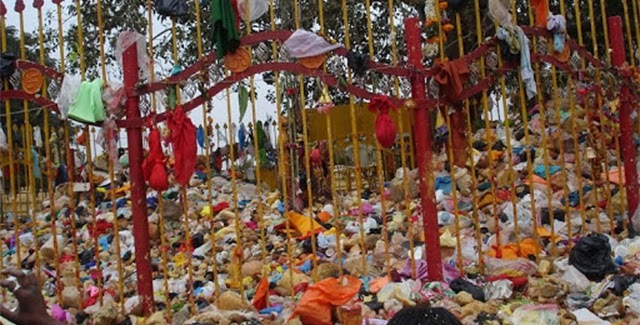 More than 10 million attended for the Sammaka Saralamma Jatara in the year of 2012. In the year of 2014 Govt of Andhra Pradesh released fund of 100 crores for arrangements.